Are you looking for an overview of Paris’ top landmarks? 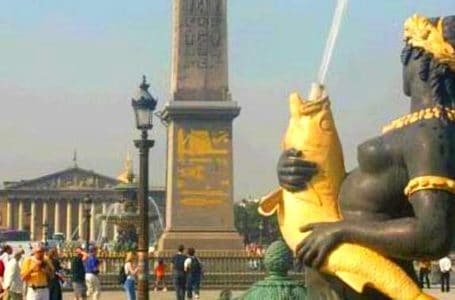 Is this your first visit to Paris perhaps? 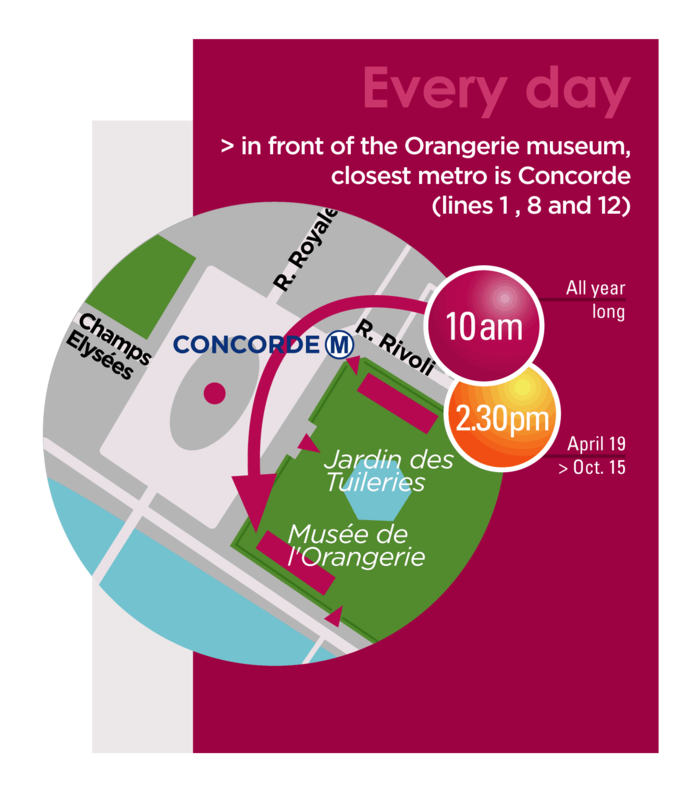 This free walking tour of the Paris Landmarks and the Right Bank will introduce you to Paris. Treat yourself to an introduction to Champs Elysées, the Louvre Museum, Arc de Triomphe, and the Eiffel tower, all in 90 minutes. We meet at that spot that shows at one glance some of the best that Paris has to offer: the Eiffel tower, Champs Elysées, Louvre, Arc de Triomphe, Seine River, Tuileries Garden, National Assembly, Orangerie, and Concord Plaza. On this first stop, our guide gets us situated.We take the time to take photos, learn why and where every major thing in Paris is situated, because this spot is the center of all Paris. We want to absorb it all. After this introduction, we head towards the Paris of luxury, grand monuments, and glamour. Our next stop is the work of the Sun-King and Napoleon combined – Vendome plaza. It is also the home of the standard setter for all luxury hotels around the world: the Ritz. Our tour includes rue de la paix – a.k.a. Jewelry street. No customers in sight – and yet every top jeweler fights to have a piece of property there. Why!? Our guide will tell us. If you happen to be from Texas, we’ll show you the 150-year old-Texas embassy (that’s right!). If you’re not, we’ll show you where Coco Chanel lived for 30 years, we’ll show you the bars that Hemingway patronized. You’ll see first-hand Napoleon’s strategy for publicizing his military battles. And you’ll stand where every Couturier designer runs his fashion shows – if they let him. There is more still – street graffiti, Sun-King style. The Paris opera – a standard setter for operas around the world. The spot of the first movie screening in human history. And secret courtyards and alleyways that most tourists walk right past without ever seeing. Your guide is a born-and-raised Parisian. In her company, you get to explore the personality of this iconic neighborhood. You learn secrets behind these elegant old stones. And you take good pictures. In the end, our finale is one of those hidden gems that most tourists don’t see. So this tour mixes Paris’ famed landmarks along with insider’s insights. Please note this tour is an introduction to Paris, an orientation tour. Some landmarks we can see are some distance away. In order to see more in our 90 minutes, we do not spend time going inside buildings. This free walking tour starts on time every day rain or shine, at 10am, and lasts a relaxed 90 minutes. From April 19 until October 15 this tour also runs at 2.30pm. Every day, closed on Dec. 24 & 25 only. We meet in front of the Orangerie museum entrance. Look for the guide in a pink vest. Closest metro station: Concorde. We end near metro station Opera. Groups of 8 and more please book. In the interest of all guests, we reserve to turn down large groups without a reservation. We advise large parties to book a private tour. and for our guide, a born-and-raised local who can unlock the secrets of Paris for you. This is a free walking tour, where you pay the guide what you want at the end of the tour. Advanced reservation is not required, and walks-ins are always welcome. Meet the tour 5 minutes before starting time. 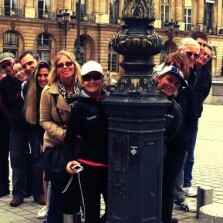 Groups of friends, families, and school groups often reserve a private guide for this tour. Price starts at €125 depending on duration and group size.